Van Alkemade got his start in his family’s Amsterdam hotel supply business, selling Housekeeping supplies and equipment to various hotels in Europe. 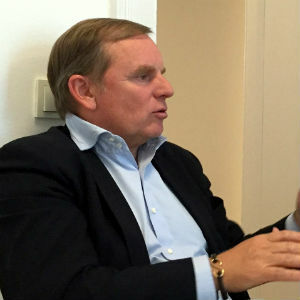 In 1986, he started selling guest amenities—things like soap, bed linens, towels— and cofounded a company called Groupe GM in Paris. Then, in 2000, he co-founded SAA Global Alliance, which held global contracts with major chains like Starwood, Hyatt, Fairmont, Club Med and several smaller chain hotels. Around the same time he began investing in hotels himself, first the Hotel des Indes in The Hague and then the Hotel Victor in South Beach, Miami. It was around that time, fifteen years ago, before almost anyone else in the hospitality industry, that Wulf Van Alkemade began to notice something big. His thirty years in the industry had taught him a thing or two about spotting trends in the hotel world, and the signs seemed to point towards massive and permanent changes in the hospitality landscape. Here’s what was happening: Online Travel Agents (like Booking.com, Priceline, etc) and their ilk were steadily transforming the travel industry by grouping hotels by category and essentially rebranding them as luxury, budget, big, small, high-end, low-end, boutique – by category first, individual brand second. This greatly inhibited hotels’ ability to make themselves stand out among their competitors. OTAs, in essence, turned hotel rooms in to a commodity. For some this helped level the playing field. A small hotel with great rooms and outstanding service could suddenly stand a chance competing with iconic brands like Waldorf Astoria. Yet, many of the big players were slow to adapt. Overall, the commoditization of hotel rooms forced many hotels to give up both total control of their brand as well a percentage of their profits in order to play ball with OTAs. In light of recent changes in the industry, now more than ever, Van Alkemade observed, “The focus today for hotels is customer-centric, with services and all technologies available.” Indeed, today’s forward-thinking hotels have taken this idea to new levels, devoting entire departments to branding and marketing, and tailoring every facet of the customer’s experience. Everything from in-room iPad ambiance control to playtime with puppies are offered as exciting, unique touches that aim for a distinct competitive edge and brand awareness. Van Alkemade’s understanding of the industry’s forced embrace of experiences created another unexpected result: hoteliers were now turning to Van Alkemade for industry forecasting. It turns out, you could tell more about hotels based on their soap usage than their spreadsheets. It turned out that looking at what was assumed to be the right data revealed sometimes limited practical insight. It wasn’t until some clever folks figured out a workaround that a more reliable rubric—the soap index— was found. It took innovative hoteliers and a healthy dose of creative thinking to find a better solution. Today, Van Alkemade is more interested in investing in people. Not satisfied in a reactionary role, albeit an insightful and lucrative one, Van Alkemade is keen to be part of the action. Aside from his partial ownership of the Hotel Victor and Hotel des Indes, he’s investing in new ideas. In 2005, he was one of the cofounders of citizenM, a revolutionary hotel chain that plays by it’s own technologically-enabled rules, for instance, being one of the first to target only a single segment of business travelers (not to mention using a revolutionary module construction technique). And it’s true: hotels everywhere collect tons of data and have no way to easily put this data to work for them. 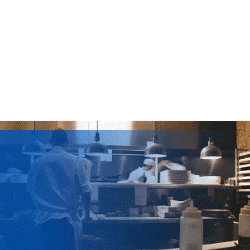 Interfacing among different operational systems can be time-consuming and challenging, as many hotel general managers and revenue managers will readily tell you. 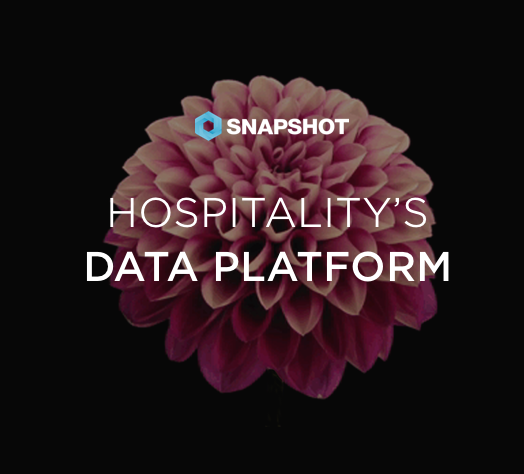 SnapShot’s solution is to build a platform that aggregates and provides analytics for currently-underutilized hotel data.